On Friday, March 20th and Saturday, March 21st CIFF39 will present its third annual Knight and Day in Akron – made possible with generous support from the John S. and James L. Knight Foundation and with additional support from the Akron Community Foundation, the GAR Foundation, and the Gay Community Endowment Fund. The Knight and Day in Akron will offer a screening of FINDING THE GOLD WITHIN on Friday, March 20th at the Akron-Summit County Public Library, followed by a full day of programming on Saturday, March 21st at the Akron Art Museum, Akron-Summit County Public Library, and The Nightlight. Media partners include Akron Beacon Journal, Akron Life Magazine, Record Publishing Company, 89.7 WKSU, Rubber City Radio Group, and WNIR 100FM. Community partners include Akron Art Museum, Akron-Summit County Public Library, Downtown Akron Partnership, and The Nightlight. For full details, please visit clevelandfilm.org/akron. 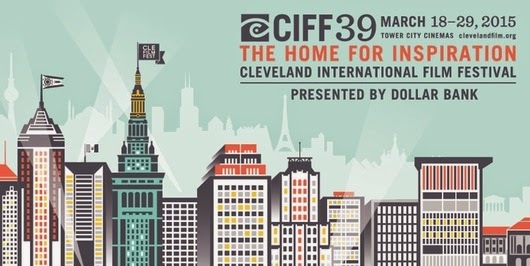 Tickets are now on sale at clevelandfilm.org for all CIFF39 screenings. Ticket prices for films are $13 per film for CIFF members and $15 for non-members. Tickets are available online at clevelandfilm.org, by telephone (1.877.304.FILM), in-person at the Film Festival Box Office in the lobby of Tower City Cinemas, or by mail using the Program Guide order form. Program Guides are available throughout the region, including all Dollar Bank locations.